Pura is an attractive series of metal writing instruments from Pelikan which combine timeless unobtrusive design with restrained elegance. 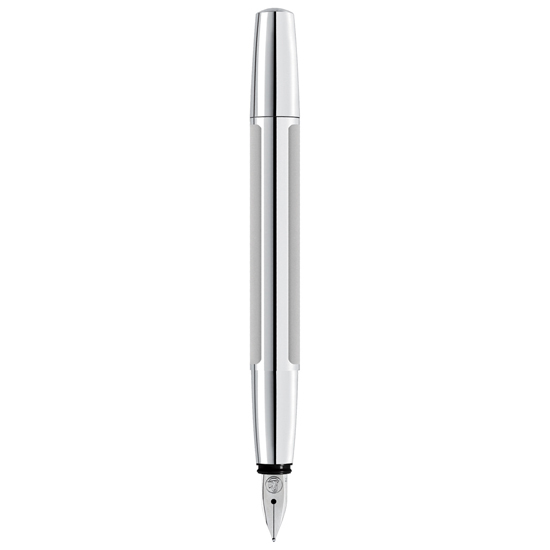 The Pura pens are noble, modern yet timeless aluminum writing instruments. The Pura model features a springy clip of the classic pelican’s beak design. The quality appearance of this writing instrument is achieved by the well-judged use of lightweight aluminium, giving a pleasant "feel" to the act of writing that users enjoy. The fine contrast of matte and glossy surfaces endows the Pura with its unmistakable aura. The Pura also makes the perfect gift in its special metal case for one or two writing instruments. Pura is available as a fountain pen, as a ballpoint pen, as a mechanical pencil and as a rollerball pen. 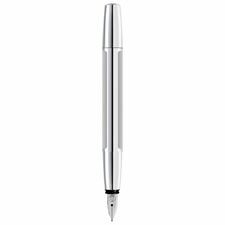 The cartridge fountain pen features a high-quality stainless steel nib in extra fine, fine, medium and broad sizes. Uses Standard Type Ink Cartridges. Click here to purchase.